The hourly job market can be an intimidating place, especially online. Workers apply for jobs that seem too good to be true, only to find the job posting was a scam and their personal data is now compromised. Meanwhile, employers call upon job seekers who look perfect on the application only to find there is no answer to their calls and never a reply to their emails, as gaining employment was never that “perfect” applicant’s intent. These are the dual aspects of fraud that create noise, waste and uncertainty in the hourly job market. When looking at these types of issues the first question that comes to mind is: why would a job seeker go through the effort of filling out an online application if they did not want the job? In today’s job market those looking for work move quickly out of necessity, so an unresponsive candidate may have just grabbed the first opportunity and ignored further inquiries. Another very likely possibility is that the applicant is actively committing unemployment benefit fraud. 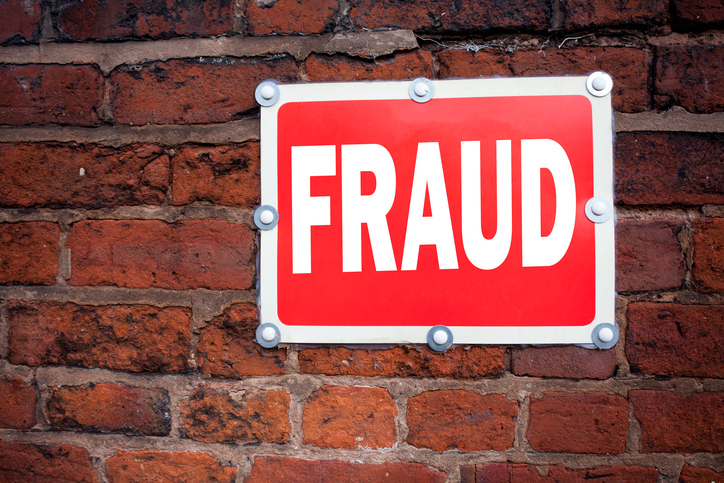 Unemployment fraud is far more widespread in the United States than many realize. In 2013 the St. Louis Federal Reserve completed a study revealing that $3.3 billion dollars were given out in fraudulent unemployment benefits over the course of a single year. Of that $3.3 billion, two-thirds went to people who were actually employed. Now, back to the unresponsive candidate: to receive these unemployment benefits, both state and federal, the job seeker must submit proof of actively looking for work each week in the form of a list of minimally required applications. While this may have been a tedious burden in the past, the process is much more streamlined with today’s technology. With just a few clicks, a week’s worth of “job searching” can be completed with all requirements met to continue receiving benefits. This could be the reason for some of your unresponsive job seekers, as government unemployment agencies seldom have the resources to follow up on fraudulent applications and, if they do, proof still exists that an attempt was made. While these fake job seekers may be a headache to HR managers trying to fill a role, the fake job post is a problem far more sinister. Fake job postings began in earnest nearly ten years ago as the permanent shift to online job seeking became the norm. The goal of most fake job posts is the collection of private data: names, addresses and work history. The more aggressive job posting scams include gathering social security numbers as part of the application process. Often disguised as “business opportunities” targeting any job seeker, these scams will request banking info which is then used to open lines of fraudulent credit. The struggling job seeker, already in a tough situation, is now facing an even bigger problem with identity theft. Legislators are now taking a hard stance against those willfully committing unemployment fraud and fake job postings. The state of Wisconsin, for example, is currently pushing new legislation (Wisconsin Assembly Bill 70) which will raise the unemployment fraud penalty up from $500 and 90 days in jail to $10,000 and nine months in jail, with those receiving $2,500 in fraudulent benefits receiving a felony and 3.5 years in prison. Similar substantial increases have been proposed across the country. Catching these phony job seekers requires a high level of scrutiny at the government level. In a recent study issued by the Ohio Controlling Board it was discovered that $867,000 in unemployment benefits were going out to incarcerated prisoners. To determine this, the state had to request weekly unemployment data provided by the Ohio Department of Job and Family Services and match this against weekly, nationwide incarceration records. Fraud was detected when the records overlapped. This proved to be an extremely tedious, expensive task which had marginal effect on the overall scope of benefit fraud. Cracking down on job posting scams is just as tricky. The accessibility of these types of scams is a major concern as it’s possible to post fake jobs for free online, making this a low investment criminal activity which has become widely used. The best deterrent to these activities have been public awareness campaigns making job seekers aware of the telling signs of these types of job offers, from confirming the domain name of email addresses to searching the internet for more information on the specific individual or company offering the position. While this falls far short of a complete solution, it takes a step towards tackling the rampant fraud found on both sides of the increasingly complex world of the hourly job market.